How much will rail on the BeltLine cost? — BeltLine Rail Now! More MARTA Map during the first survey showed the full BeltLine loop. 70% of the transportation tax will be spent on this map. The BeltLine is reduced to only 30% and 3 other projects are moved forward. City Councilman Andre Dickens saying "$2.5B won't do it". 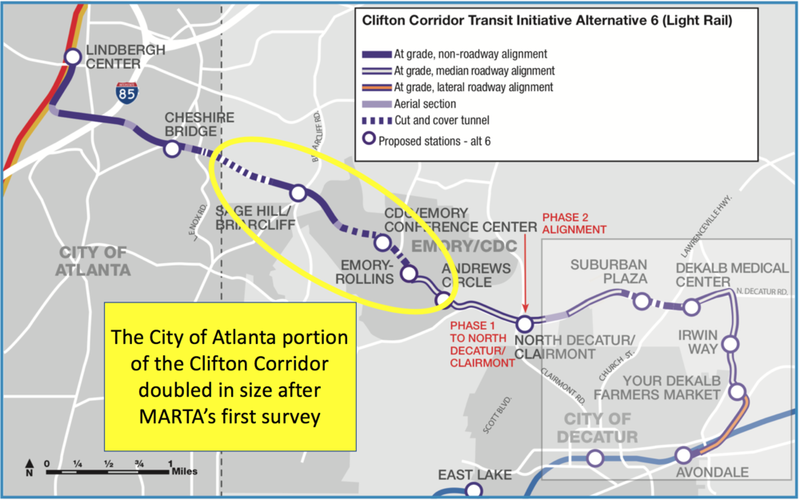 MARTA's estimation of the BeltLine's cost and per district cost. Atlanta owns the land it planned to own for rail on the BeltLine. The City of Atlanta portion of the Clifton Corridor doubled in size due to the Emory annexation. Far more Emory Employees live in DeKalb than in Atlanta. City of Atlanta will triple its population over the next 20 years. Prioritizing rail on the BeltLine is more equitable for all city districts. Find your district and contact your council person.